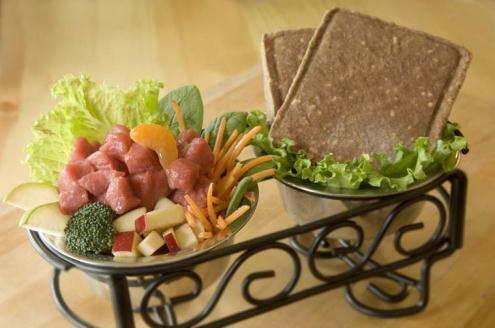 Lately, raw food diet for dogs have been all the rage in the media. Often times though, when something is all over the media, people begin to wonder if it is really a good thing or if it is just a fad. With all the recent exposure to raw food diets for animals, people are beginning to wonder if these diets are truly an ideal meal plan or just an unsafe fad of the moment. It seems that raw dog food diets for dogs are extremely controversial. This diet is one that highlights intake of raw meat, bones, vegetables, and fruits and is rising in popularity more and more these days. History shows that racing breeds, such as Greyhounds and sled dogs, have been following a raw food diet for a long time. However, putting a housedog or pet on a raw food diet is a more recent idea. Australian veterinarian Ian Billinghurst first introduced the idea of housedog’s taking on a raw food diet in 1993. Billinghurst called this raw food diet the BARF diet. “BARF” stands for Bones and Raw Food or Biologically Appropriate Raw Food. The idea behind Billinghurst’s raw food diet was that adult dogs would flourish on an evolutionary diet revolving around what dog breed used to eat before becoming domesticated. This historic diet included raw, meaty bones and vegetable scraps. Billinghurst believed that commercial pet food was harmful to a dog’s health. Billinghurst’s raw food diet seems logical enough, though many mainstream veterinarians strongly disagree, along with the FDA disagreeing as well. Research shows that risks of raw food diets have been documented in a variety of different studies conducted. There are many reports that either support or do not support raw food diets for dogs. Some of the potential benefits that supporters believe the raw food diet can give include healthier skin, a shinier coat, smaller stools, cleaner teeth, and higher energy levels. On the other hand, people against the raw food diet argue the potential risks associated with it. They believe it causes threats to human and dog health due to bacteria from raw meat. They also argue that an unbalanced diet followed for an extended period of time may damage a dog’s health. People against the raw food diet for dogs believe that this diet risks potential for whole bones to break teeth, cause internal punctures, or choke a dog. They also state that there is no scientific evidence that a raw food diet is beneficial for dogs. With all the controversy revolving around these raw food diets, many people are left wondering what exactly a raw food diet for a dog even is. Even though many people have stood up to share the personal benefits they have seen by giving their dog raw dog food diets, others will not believe it based on what they have heard from research studies conducted. An evaluation of raw food diets for dogs, headed by Lisa Freeman, DVM, PhD, was conducted in 2001 and published in the ‘Journal of the American Veterinary Association.’ This study looked at five raw food diets, three being homemade and two being commercially available. Her research showed that all five of these raw food diets, if given long term, could cause serious health problems. In the publication she released, Freeman strongly warned pet owners against raw food diets for diets, stating that many dog owners were choosing the raw diets for the wrong reasons based on online myths and scare tactics regarding commercial pet food. Instead of putting your pitbull on raw dog food diets, Freeman suggested that owners cook homemade meals designed by a nutritionist to give your dog the healthiest diet. Freeman stated that a lot of the benefits, such as a shinier coat, associated with a raw food diet for dogs are actually the result of the higher fat composition that comes from a typical raw food diet. 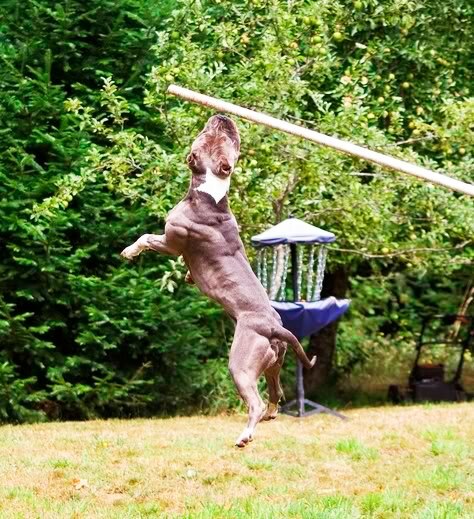 She argued that you can get high fat commercial dog foods that produce the same effect without putting your dog at risk with an unbalanced diet. 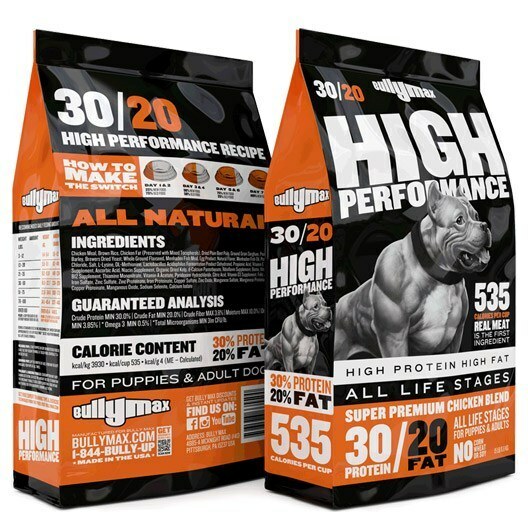 Freeman also pointed out that supplements are a great way to increase the fat in your dog’s diet as an alternative. 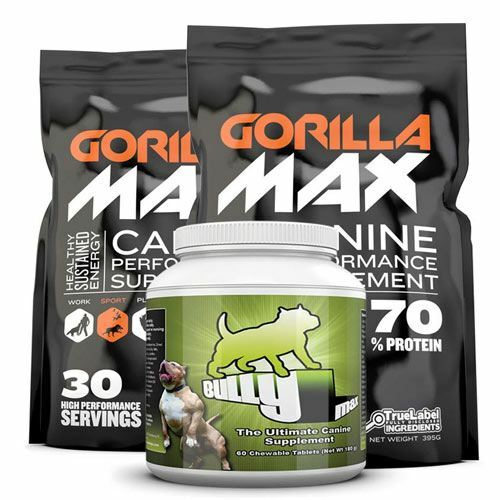 There have been a variety of other studies focused around the raw dog food diets and it seems that most of them are coming up with the same results. Joseph Wakshlag, DVM, PhD studied raw food diets for dogs and stated that these diets are lacking in calcium and phosphorous which can cause bone fractures and dental problems. He clarified that, even if there was calcium and phosphorus in the raw food diets, depending on the quality of the diet, these nutrients may be difficult to properly digest. Other studies of raw pet food diets show that many have shown signs of bacterial contamination. In 2004, the FDA issued statements suggesting the manufacturing of raw pet food be safer, citing concerns about the possibility of health risks to owners who are handling this raw meat. In 2006, a study showed that, of twenty commercially available raw meat diets, 7.1% of these were found to be contaminated by some type of salmonella. E coli bacteria was also found in 59.6% of these raw meat diets. This bacteria can easily be shed in the dog’s feces which can lead to potential exposure to humans causing infections and other health problems. While these research studies show all the problems associated with raw dog food diets, many supporters have been pointing out that commercially processed pet food can contain just as much, if not more, harmful bacteria compared to raw meat. Many supporters of the raw food diet believe that the major concerns regarding bad bacteria associated with this diet are completely blown out of proportion. They believe that when you are feeding a raw diet to your dog, you know it is not sterile and therefore you are more careful about washing your hands. So it really all is based around how you treat the raw food diet in your own way. It is important to note that even veterinarians who support the raw dog food diets do make a point to state that this raw food diet is not appropriate for all dogs. Since the raw food diet is typically very high in protein, the diet is not appropriate for dogs with late-stage kidney problems or severe liver failure. Also, dogs with pancreatic or other digestive issues should think about starting with a cooked, homemade diet in order to clear up any health problems before switching to a raw diet. Dogs with cancer, ones that are on chemotherapy, or dogs with other immunosuppressive diseases should definitely not eat raw foods. Also, it is not a good idea to feed puppies a raw food diet. Based on this above information, it is hard to decipher whether or not raw food diets for dogs really are beneficial or dangerous. It all depends on who you talk to. As a dog owner, it is important to do what is right for your dog and your dog only. All dog breeds are different and can react to different diets in a variety of way. It is best to work with a veterinarian in order to give your dog the best diet possible to provide him with the healthiest life. A raw food diet for a dog usually consists of muscle meat often still on the bone, organ meats such as livers and kidneys, bones either whole or ground, raw eggs, apples and other fruit, vegetables like spinach, celery, and broccoli, and some dairy such as yogurt. Many people believe that, for most animals, a diet such as this one is much healthier than a diet of all processed dog foods. There are many people who have stood up to give examples of how a raw food diet has affected their dog. 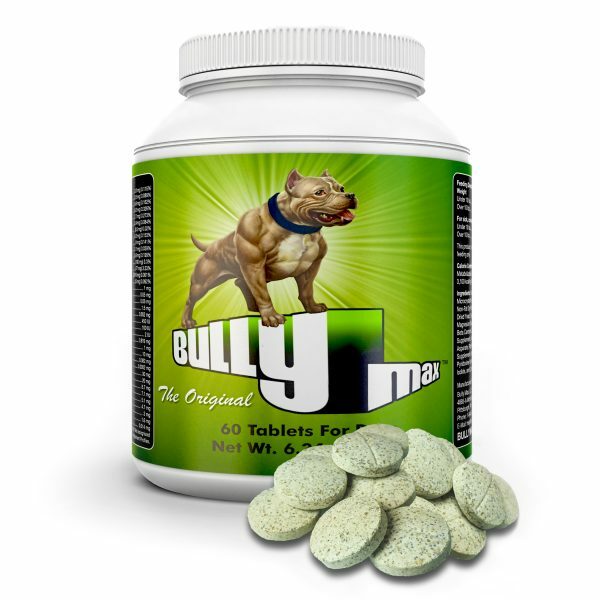 One woman stated that, after feeding her pitbull raw dog food diets for over two years, they are thriving more than ever. She states that her dogs seem more energetic, their coats began looking healthier, and their breath also improved immensely.